♥ BabiesLZ ♥: She Passed! 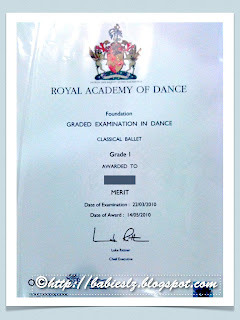 My princess passed her BALLET with a MERIT! Very happy for my gal! Well done Sweetie! Mommy is very very proud of you!